Oklahoma City has numerous venues for wonderful live music, but when trying to stretch the dollar as far as it will go, many residents seek out free live music concerts. Fortunately, there are a number of opportunities for such in OKC, particularly during the summer. Here are a few, and if you know of others to add to the list, just let me know. The grand lawn at the Myriad Botanical Gardens in downtown Oklahoma City is the site for the Sunday Twilight Concert Series, held each Sunday through June, July, August and September. The concerts begin at 7 p.m. The series is absolutely free and features a great variety of musical genres. For an hour each mid-day Thursday during the summer months, enjoy free live music concerts with "Noon Tunes" at the Downtown Library, a special event series from Oklahoma City's Metropolitan Library System. Featured are local musicians performing in a broad range of genres and forms, including music and story, piano, dance, bluegrass, classical, soul and more. Every other Sunday during the months of May, June, July and August, Norman's Performing Arts Studio presents free live music concerts as part of the Summer Breeze series. 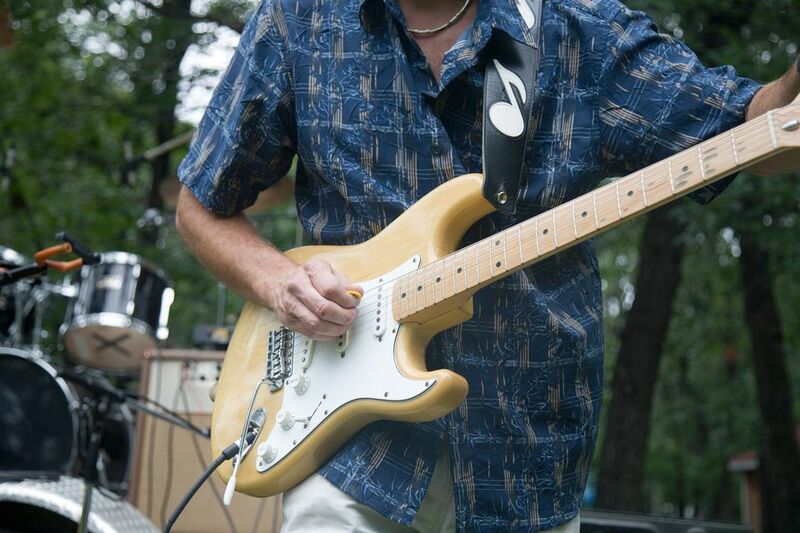 Thursday nights at Edmond's Hafer Park are filled with music through the months of June and July as part of the city's free Concerts in the Park series. Enjoy snow cones while you listen to local performers in genres such as classic rock, blues and more. In Moore, Friday nights are the night for free music in the park. The Summer Nights Concert Series is sponsored by the City of Moore and the Moore Public Library. Performances are held at 7 p.m. in Buck Thomas Park through the month of June, and food vendors are on hand as well. On Thursday nights during the summer, the city of Yukon presents its "Concerts in the Park" series at the Chisholm Trail Park Gazebo. These free live music concerts begin at 7 p.m. and feature a variety of musical genres including jazz, country, rock, soul and even disco. The Oklahoma City Festival of the Arts, held each year in late April, is a metro favorite. In addition to the wonderful culinary and visual art, the festival features non-stop performance art, including live music concerts, on several stages in downtown. Best of all, the whole thing is absolutely free. Held each year in early May at Andrews Park in Norman, just south of Oklahoma City, the May Fair Arts Festival is an outstanding event for art lovers. The free event also features live music performances in the Andres Park amphitheatre, often by local and regional bands and artists. The majority of the downtown area in Edmond, just up the Broadway Extension from Oklahoma City, is blocked to traffic each year in late April or early May for the fantastic Downtown Edmond Arts Festival. Enjoy the visual art and festival atmosphere, but also make sure to check the live music schedule. Right in the middle of the streets, enjoy the talented live music performers for free. It is perhaps the premiere annual event in the Oklahoma City metro area for the Jazz lovers. The Jazz in June Concerts, held toward the end of the month at Brookhaven Village and Andrews Park in Norman, feature talented performers over the course of three days. Admission is free, and there are even clinics for musicians as well. When we think July 4th, we probably most often think of the incredible fireworks displays, and the Oklahoma City area has many of them. But don't forget that these wonderful free events also frequently feature some of the best live music the metro has to offer. The Philharmonic performs as part of the downtown celebration as well as Yukon's event, Edmond's festival includes a show from the UCO band, and the Yukon festival also frequently includes local and regional bands.